It’s just a few short days away with what is called “The Great Minnesota Get Together” aka the State Fair. The first thing that comes to mind (that isn’t on a stick!) 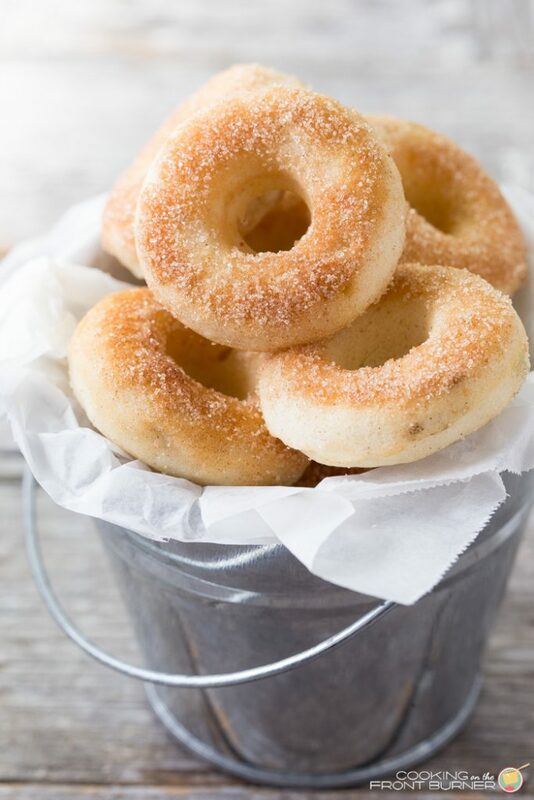 are these Cinnamon Sugar Mini Donuts. These are a staple at any fair and carnival but what makes these a bit healthier, but just as tasty, are that these are baked and not fried. Yes I know fair food is all about the deep frying and eating all those foods you might wait yearly for and I do get that – really! It’s some people’s favorite time of the year. While we haven’t been to the fair in a looooong time, I still like some of the food and that is where these mini donuts that I can make at home comes in. Lower calorie so I can eat more, right? So let’s say you are going to the fair – what is your favorite food – cheese curds, corn dogs, cotton candy, etc? This year when I was looking at the fair website I found some NEW foods that looked fantastic. How does Candied Bacon Donut Sliders sound? Or Cheesy French Onion Monkey bread? While those sound ah-mazing, I would definitely be skipping the SPAM curds. Not a fan but I know that the DIY Guy would be willing to give them a try. 0 Response to "Cinnamon Sugar Mini Donuts"